It was a series of revelations that made Rae Crothers decide to take to the road. She asked herself what she really wanted out of life, and then made it a reality. That was over three years ago. Now she travels throughout North America following invitations and opportunities for herself and Miranda. Miranda is a Canadian-made 32' Glendale Royal Classic class C motorhome. When travelling, she tows a small hatchback. Crothers finds this a great combination as she can have her own little apartment that can park anywhere, and a vehicle to then explore with. The longer Crothers lives the full-time RV life, the more she realizes that she’ll never go back to a more conventional one. She was first intrigued by the lifestyle when she read a blog by a couple who lived full time in a converted bus. The idea stayed with her until a vacation where she quickly grew tired of motels and restaurants. Less than a week after setting off, Crothers had her first holding tank disaster while trying to empty it after a frustrating day. Confirmation that she had the right attitude came when her first reaction was to laugh. Certainly, RVing full time has its challenges. For someone wishing to live this lifestyle pre-retirement, financial concerns may be the biggest barrier. It took Crothers a little while to realize what skills she could take on the road, and to develop multiple streams of income. She recommends starting out debt-free, living frugally, and remembering that just because you’re travelling doesn’t mean you’re on vacation. One point that resurfaces repeatedly is the shortage of information for Canadian RVers. Crothers has written an ebook called Full-Time RVing in Canada because she found that a good source was needed. Unfortunately, Canadians often base their RV dreams on an American standard. It is, said Crothers, much more difficult to legally live full time in a home on wheels for Canadians. Crothers hasn’t let any of the standard excuses stop her from living the RV life she’s come to love. Crothers likes to keep her destinations fresh, but says she loves B.C. for the diversity in landscapes that it offers. In short, Crothers doesn’t have any plans to give up her ability to see the continent from her own living room. She embraces freedom combined with the comforts of sleeping in her own bed with her cats, and cooking in her own kitchen—it looks like Crothers plans to keep Miranda doing what she does best. You can follow Crothers' lessons and adventures at her blog, Travels with Miranda. 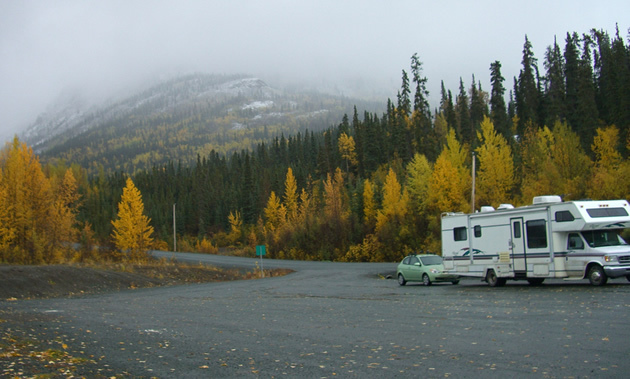 - Driving a northern loop starting in Prince George, going through Dawson Creek, driving the Alaska Highway (including a visit to the Fort Nelson Heritage Museum and a dip in Liard River Hot Springs), and coming back south down the Stewart-Cassiar Highway. - Taking the White Pass Railroad from Fraser, B.C., to Skagway, Alaska, then hiking the Chilkoot Trail to Lake Bennett, which sits partly in B.C. and partly in Alaska. - The Chasm Provincial Park lookout, just off of Highway 97 north of Clinton. 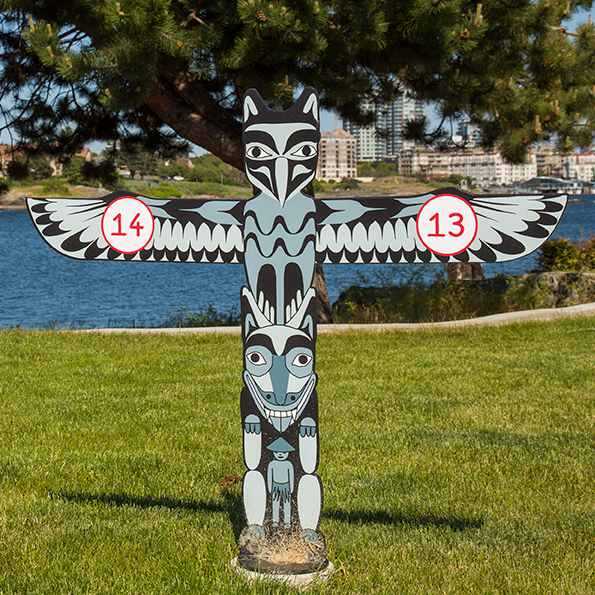 - For Vancouver Island, Cathedral Grove, the murals of Chemainus, the Goats on a Roof in Coombs and Hot Springs Cove near Tofino. - The Peace Arch, Surrey (just to be able to travel freely, if only a few steps, into the U.S.). - Lynn Canyon Suspension Bridge, North Vancouver (a more impressive suspension bridge than Capilano, and free). - The Desert Model Railroad, Osoyoos. Thinking of hitting the beach next summer? While it may not be the first state that leaps to mind, it is worth taking a closer look at Idaho’s Panhandle. A life-changing accident caused Laurie Mullins to return to the one thing that brought her joy: camping with her family.